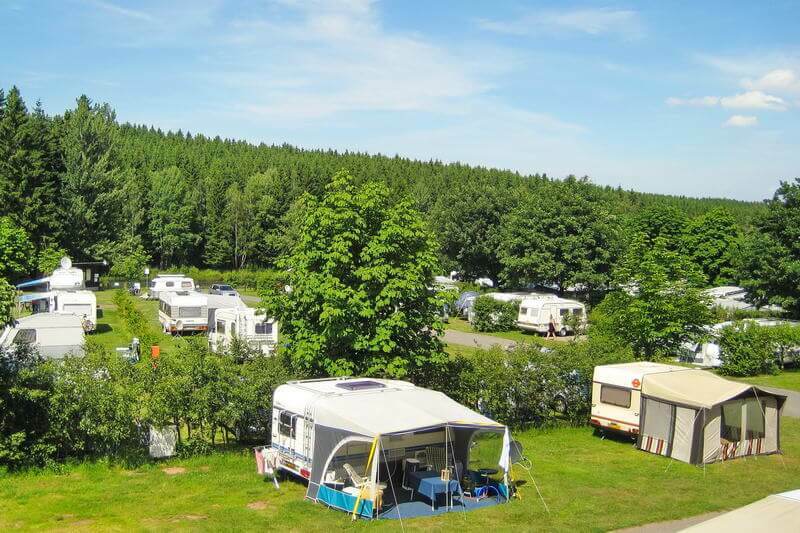 The "Paulfeld” camping site offers you 280 camping spaces ranging from 60 to 100m2 in the middle of the Thuringian Forest on 70,000 m2. 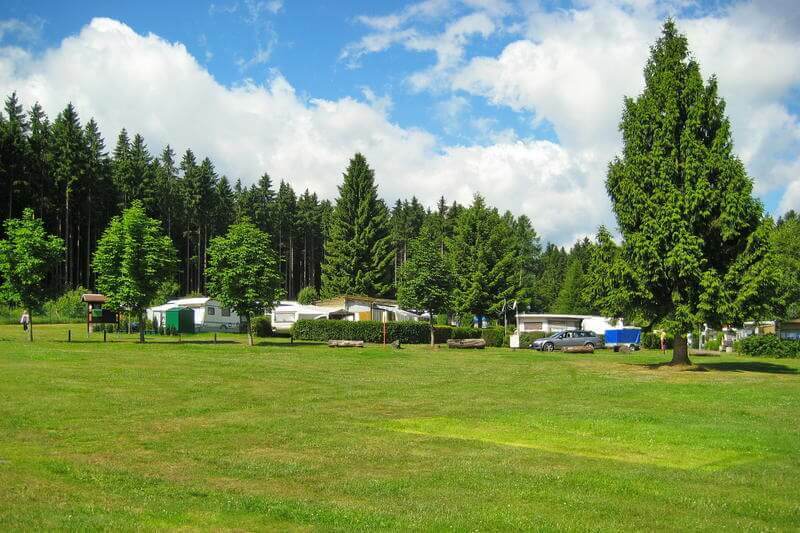 Its idyllic location at the foot of the Rennsteig trail allows it to be an attraction point for nature and camping friends from near and far all year round. 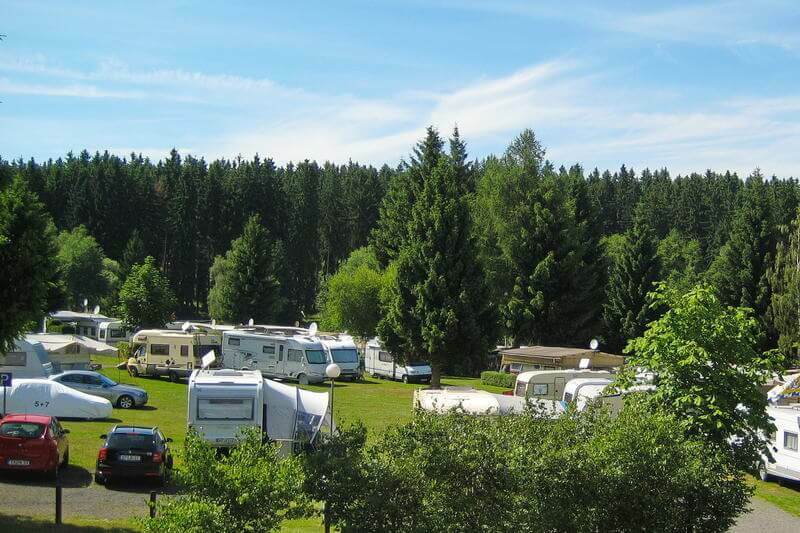 The surrounding forests, the swimming pond and countless other easily accessible excursion destinations in the legendary Thuringian countryside are particularly attractive. 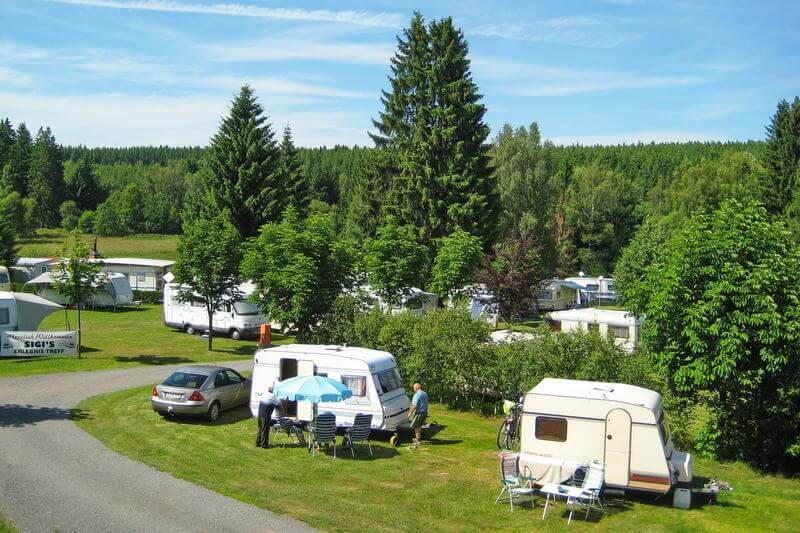 If you don’t want to arrive with a tent or a caravan, you can also enjoy the proximity to nature in our holiday homes. 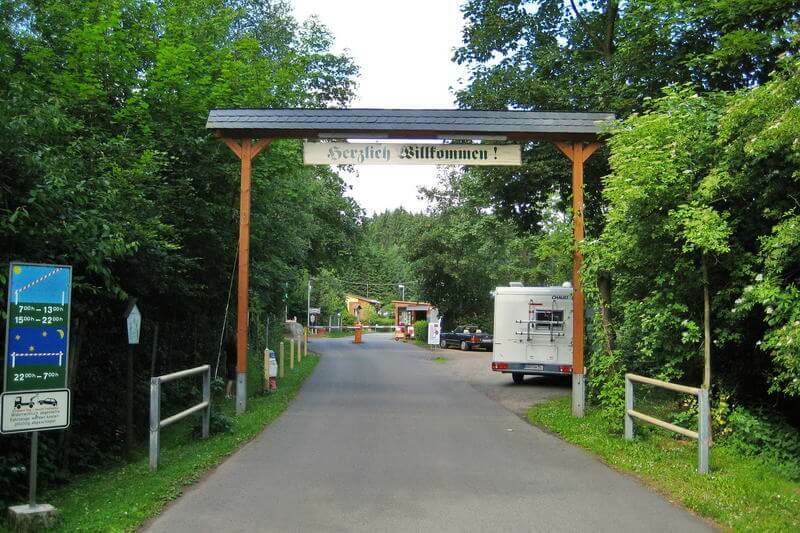 Our camping site is open all year round! 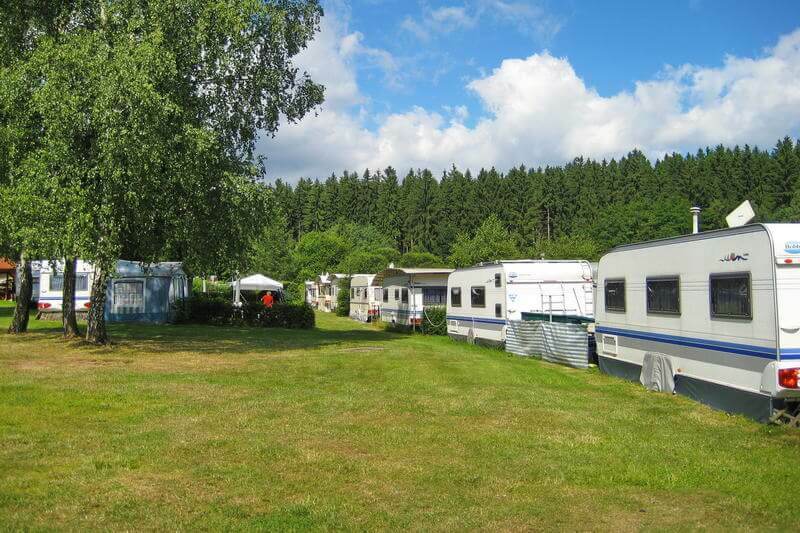 Apart from a playground with a climbing frame, slide, bird’s nest swing, cableway and seesaw animals, we also have a caravan which serves as a kids club. Children can also rent various ket cars at reception during the long wait. Older children can while away spend their time playing volleyball or table tennis. On hot days, our nature pond also serves for cooling off even with camping kids. 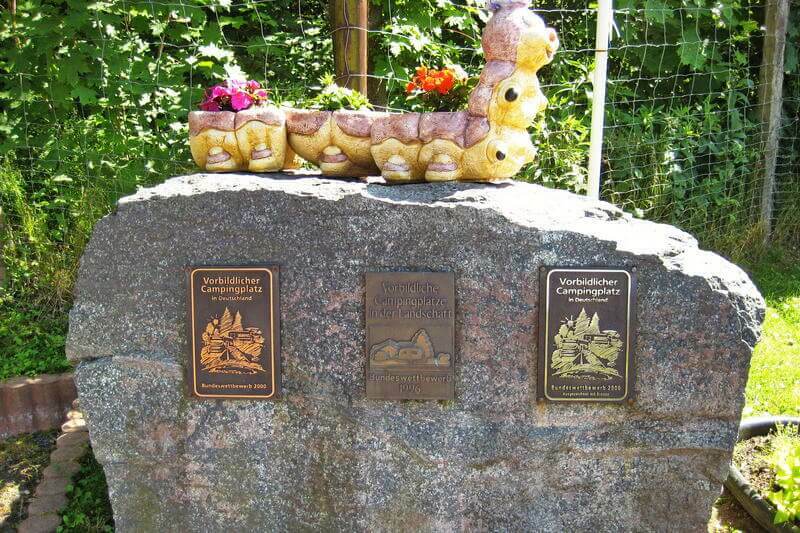 The alpacas Joe and Apollo would also like to go walking together with the children on the camping site (accompanied by an adult of course). Disabled sanitary unit with a shower, WC and wash basins, accessible for wheelchair users.